Starting Sunday, September 15th 11am ET watch brand new episodes of Doc McStuffins The Doc is in. 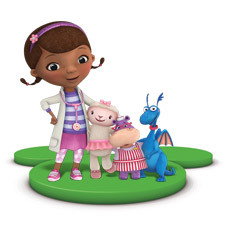 Doc McStuffins is a wonderful program where children get encouraged to care for others. My little ones I like to imitate the doctors and role play all that they have observed during the check up with their soft toys. When children watch Doc McStuffins along with her stuffie sidekicks fixing loose stitching, low batteries or helping in during the need for a little confidence boost, it will remind them that there is always a remedy. Starting Monday, September 16th The Little Mermaid series is coming back exclusively to Disney Junior, weekdays at 8pm ET. We were very excited when we got to see Ariel performing on Disney on Ice Rockin' Ever After, and we are hoping to see her again during this years Disney on Ice. If you are fans of The Little Mermaid like us then you will be super excited to know that in celebration of the upcoming The Little Mermaid Diamond Edition Blu-ray and HD Digital October 1st, Disney Junior is giving us a chance to win a round trip to Toronto and experience Canada’s Private Red Carpet Screening of The Little Mermaid, complete with an Under the Sea Adventure experience at the TIFF Bell Lightbox for the little one before the show. The grand prize includes: Round-trip flights to Toronto for a family of 4, two night hotel stay, Disney gift bag for each child guest, $1000 spending money and transportation to and from the event. Check out the details and enter here. Colour the paper towel roll with markers or paint and when it is dry use a pen to draw the eyes, mouth etc. Then use the ribbons, coloured paper, wool to decorate and make it resemble a mermaid. That would be a wonderful trip for Little Mermaid fans, or anyone really. Cute mermaid craft, looks like a fun activity. I love the little craft you made here! So cute. We love Disney movies in our home. I just introduced my 3 year old to The Little Mermaid. I loved that movie when I was a kid! Absolutely love the craft!!!! I never would've thought of something like that! The Little Mermaid is another one of those Disney movies that generations of children will grow to love and enjoy. How cute! 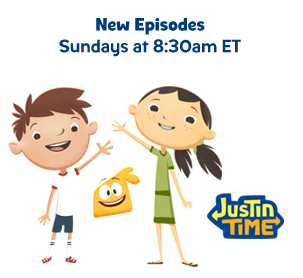 Disney & Disney Junior certainly is a HUGE hit - I think parents can agree too that they are comfortable with the kids watching it too.. I absolutely love that homemade mermaid. Such a cute craft. Disney Junior his a hit at our house! Cute craft you have made. Love the pic with the sand and the seashells. It's a great prize from Disney Junior - some family will be very happy and very lucky. I think Doc McStuffins is a really cute show too.